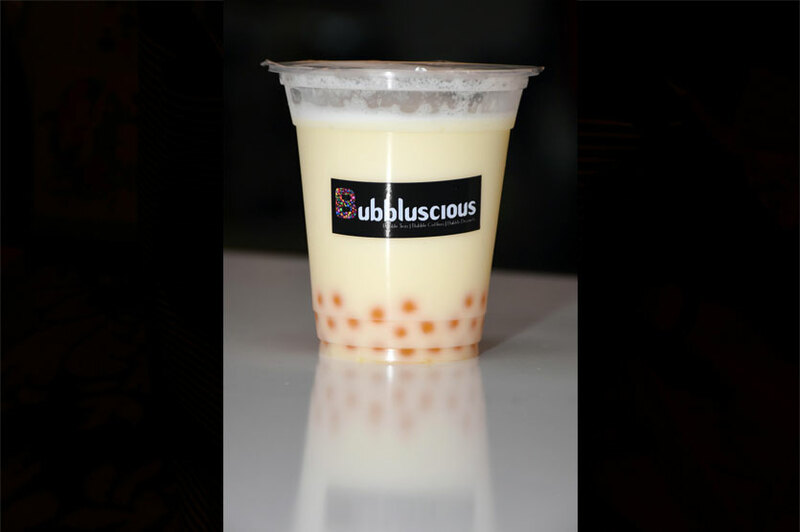 For the love of all things bubble, Bubbluscious opened its doors on December 18! 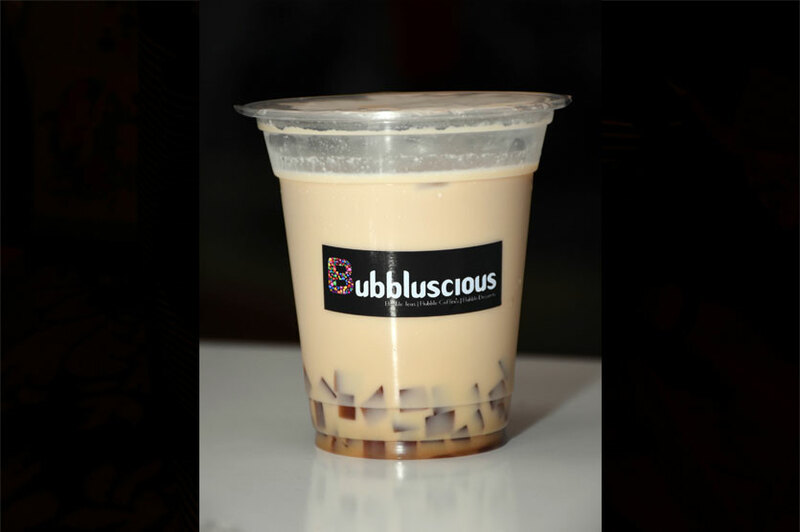 Introducing a range of Bubble Teas, Bubble Coffees and Bubble Desserts for the first time in Sri Lanka, Bubbluscious is a cozy black themed cafe with brightly coloured beanbags and booths where bubbles are truly celebrated. 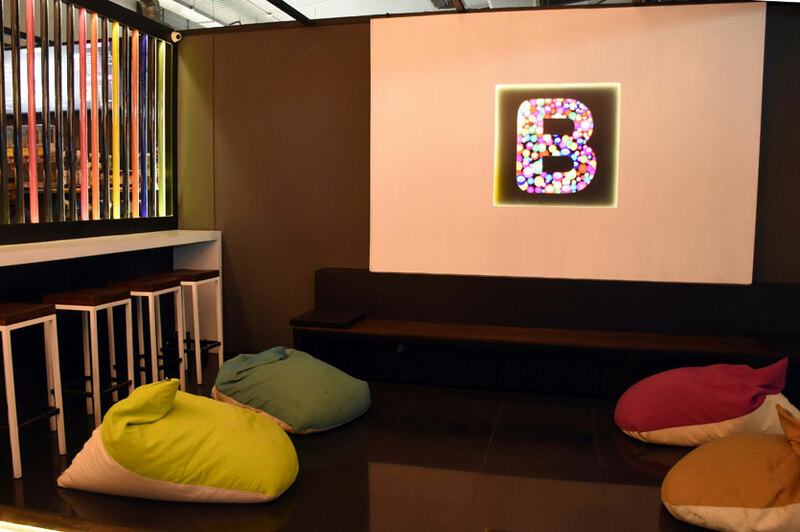 It is conveniently located inside the Kandana K-Zone where there is ample parking. 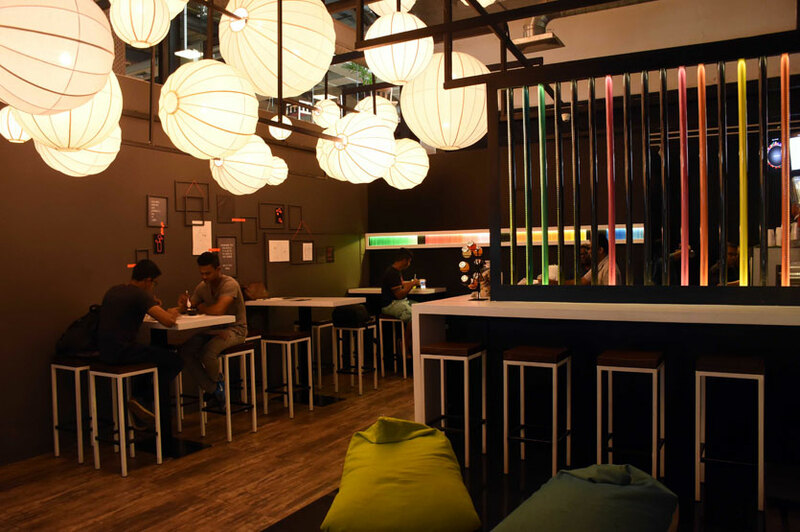 They have 6 different categories of drinks or dessert to choose from. After you pick your drink or dessert you have to pick your choice of sugar level. 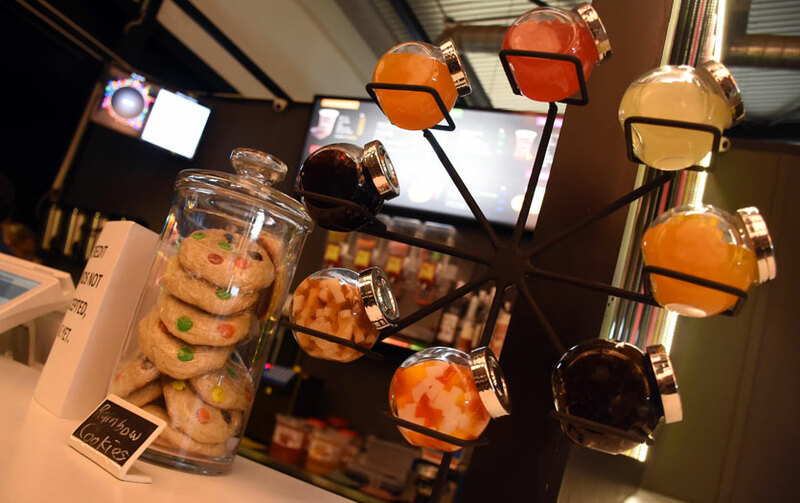 And then comes the fun part where you have to pair your drink with flavoured bubbles or toppings! They have everything from tapioca pearls to jellies and popping bubbles. 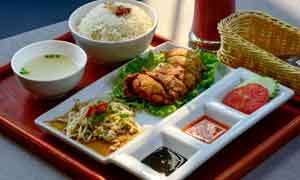 To make the process a little easier they have made their recommendations on the menu. 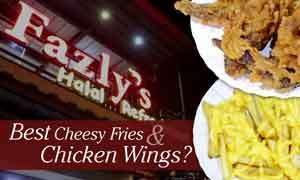 Their staff is extremely friendly and will help you out. We were hosted by the lovely couple Dilan and Primani Wijeyesekera, also the owners of Bubbluscious. Dilan is a tea taster by profession. 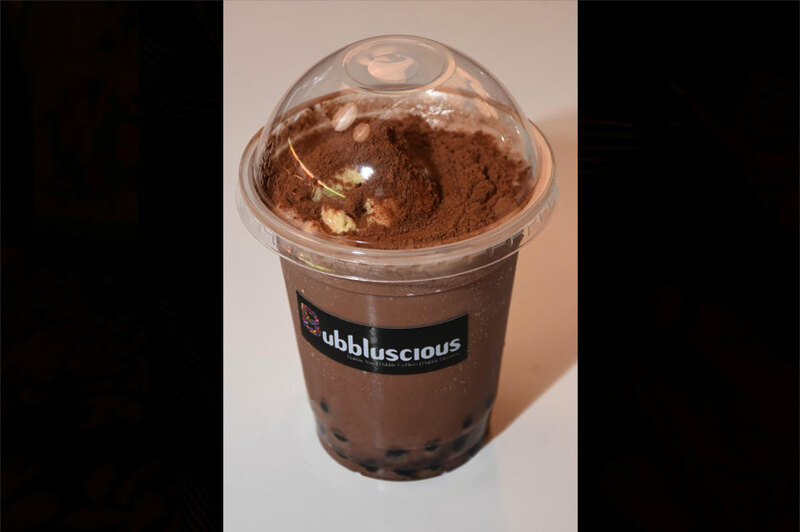 He had his first bubble tea experience in Taiwan a few years ago, and since then he was determined to introduce it to Sri Lanka. 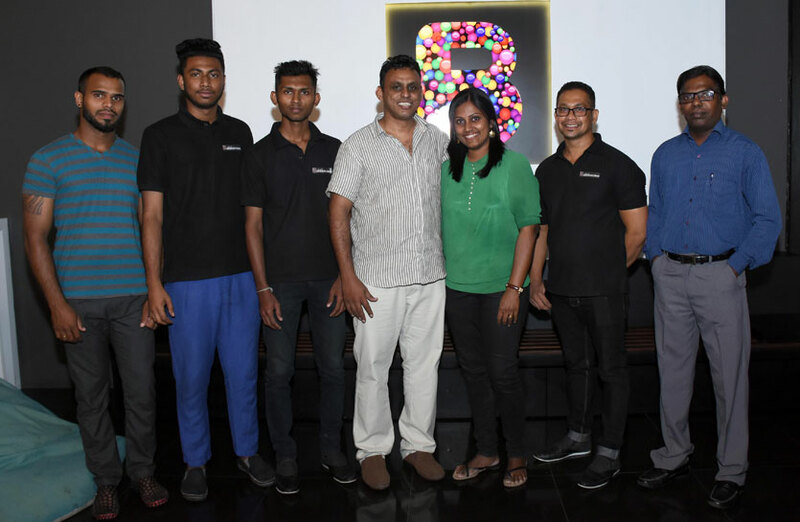 He promises to customize their drinks with local fruits and more importantly open up an outlet in the heart of Colombo in the near future. We tried a few drinks from each category. Dilan himself helped us with the pairing of flavours. 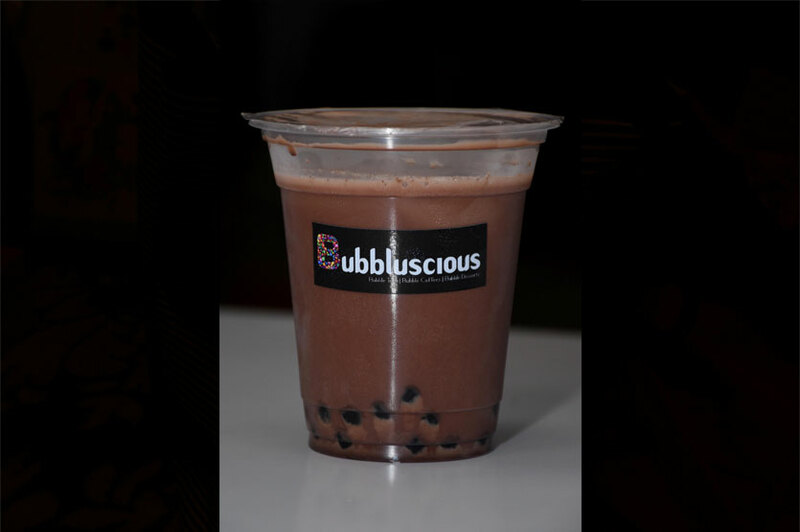 From the premium range we tried the Nutella Tea with Tapioca Pearls (Rs. 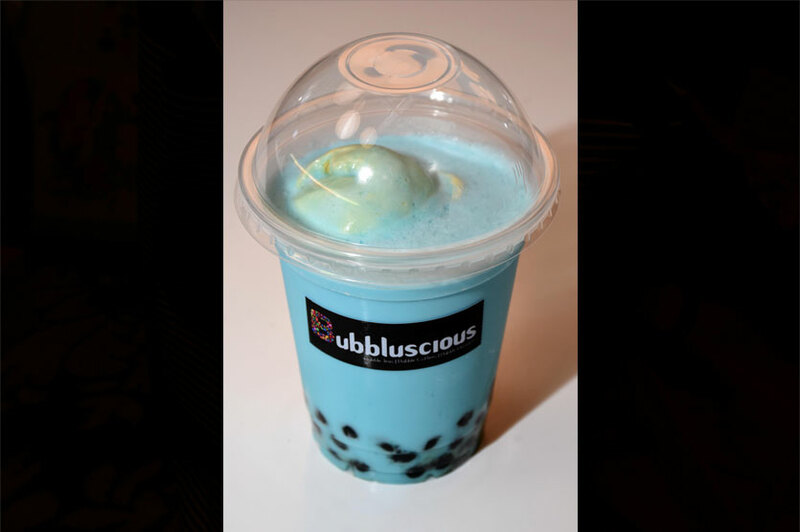 320), Bubblegum Tea with Tapioca Pearls (Rs. 320) and Mocha Tea with Tapioca Pearls (Rs. 320). All of them tasted amazing but we loved the bubblegum tea best! In the premium range every drink is served with ice cream. We then tried out two drinks from the Fruit Fiesta range. 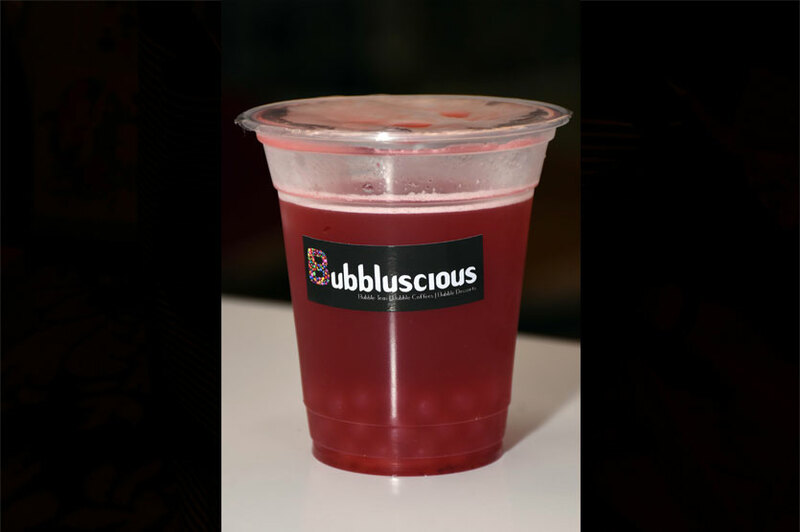 A Strawberry Tea with Strawberry Popping Bubbles (Rs. 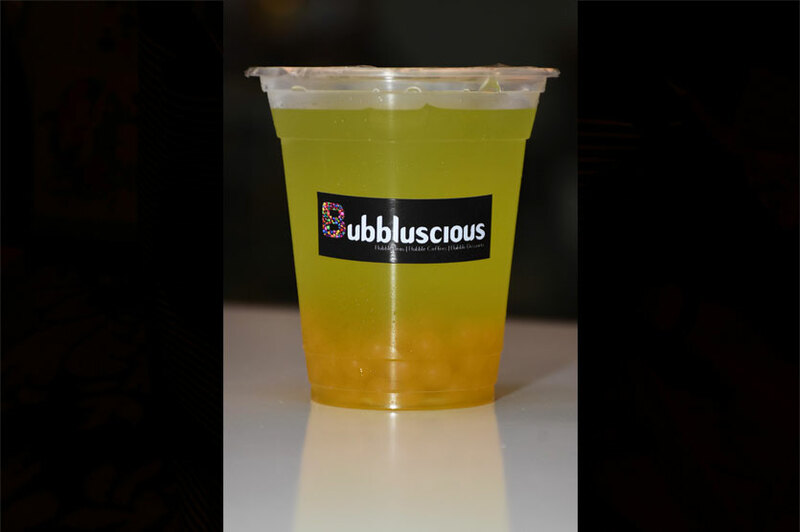 250) and a Green Apple with Lychee and Peach Tea with Peach Popping Bubbles (Rs. 280). Both were refreshing and delicious served chilled. From all the drinks that we tried during our visit, the Green Apple tea was my absolute favourite! We then tried their smoothies. The Passion Smoothie with Mango Popping Bubbles (Rs. 280) was exceptional! We recommend it to all the passion fruit fanatics out there! 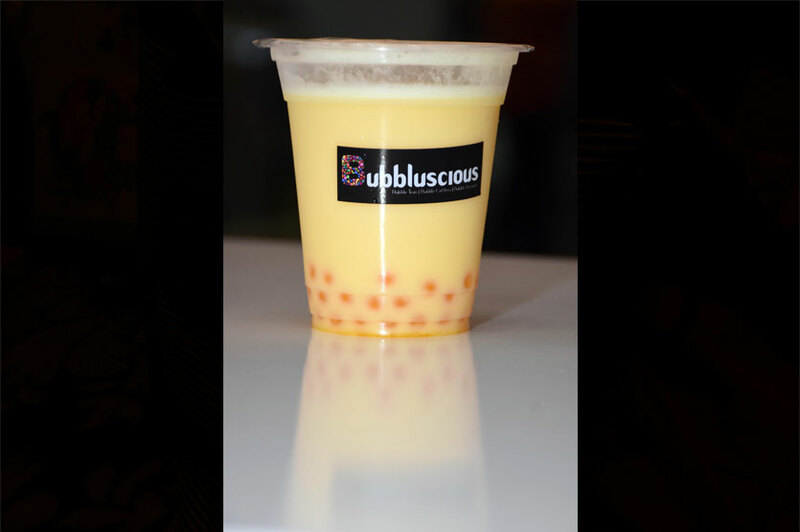 The Peachy Pineapple Smoothie with Peach Popping Bubbles (Rs. 300) was equally good. 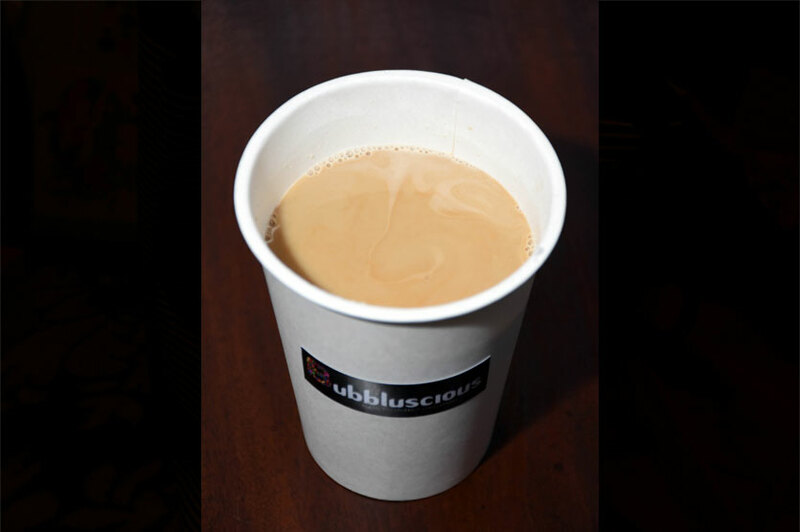 Bubble Coffees are a first in Sri Lanka! As there is a growing coffee culture in Sri Lanka, Dilan explains thus they introduced a range of tasty blends with actual coffee in them! You can also choose to have a hot or cold drink. We tried their Iced Hazelnut Coffee with Coffee Jellies (Rs. 300) which was quite tasty. It was the Hot Mocha Coffee with the Caramel Jellies (Rs. 300) that stood out. A hot bubblement experience was a first for me and I loved it. The caramel jellies really complemented the hot mocha. We tried a Chocolate Tea with Tapioca Pearls (Rs. 280) from their original range. It was very chocolaty and rich in flavour and leaves a delightful aftertaste of tea in your mouth. An unusual combination but we liked it. The dessert range is also a first in Sri Lanka. You can choose from biscuit puddings to vanilla sponge to brownies and many more! 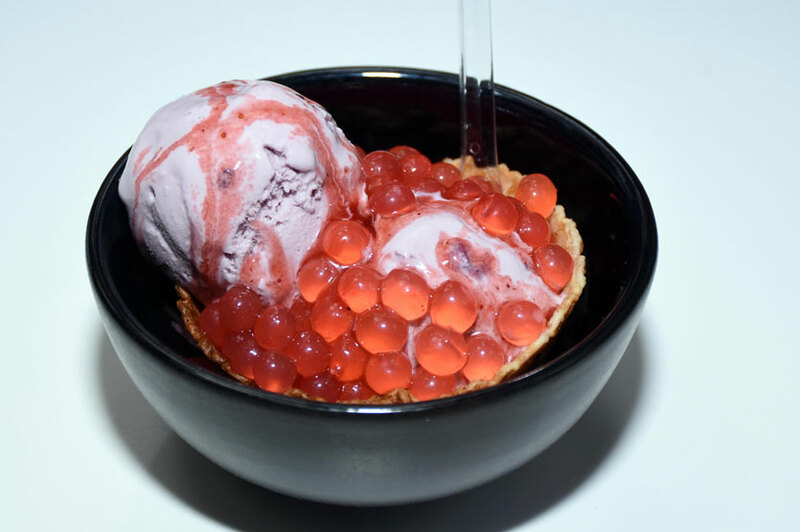 We tried their Berry Ice Cream with Strawberry Popping Bubbles (Rs. 250). Served in a waffle cone, it was delightful to have. 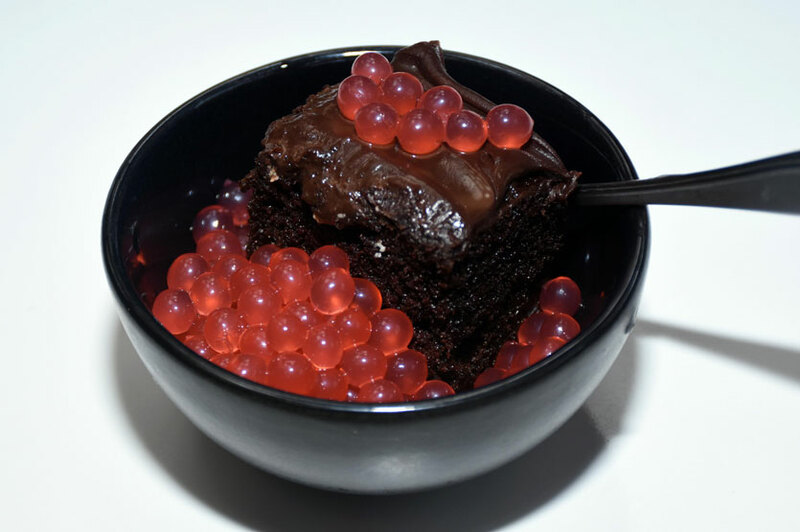 Nothing can go wrong when you pair a gooey Chocolate Ganache with Strawberry Popping Bubbles (Rs. 300). It is a match made in heaven! 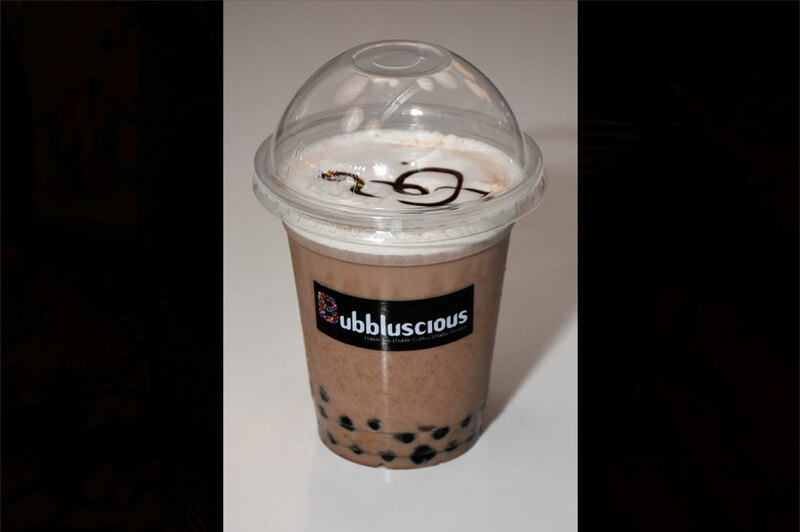 The next time you are in the neighbourhood, Bubbluscious is a stop you must make. For any further information, you can call them on their hotline 0763661980 or check out their Facebook page. You can also follow them on Instagram to keep track of their latest promotions.